This Wednesday's trivia is going to be very elegant. 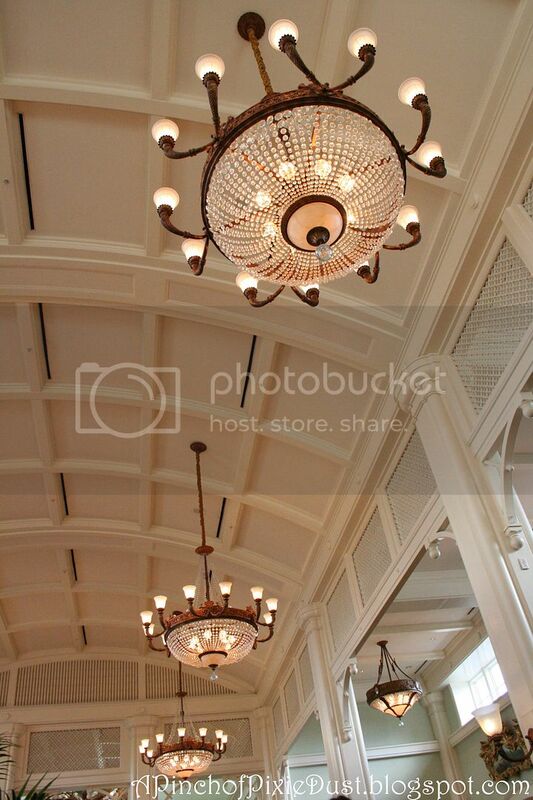 :) Do you recognize this line of lovely chandeliers? Here's a hit: surprisingly, these aren't even the most impressive chandeliers in this space! Props to Rachel for guessing last week's photo - it was the blue gate right before you get on your rocket at Spaceship Mountain! I think I recognize these- could it be Boardwalk Inn?